Dr Rashid Aziz is a Senior Lecturer in Criminology in the Department of Social Sciences, School of Law and Social Sciences. He was previously a Senior Lecturer in Criminology at Canterbury Christ Church University. Rashid holds a PhD in Sociology from City, University of London. Rashid has worked in higher education for the last 10 years. He has significant teaching experience in criminology and sociology. Rashid’s research interests are in British Asian Muslims and marriage, hate crime and bullying. Rashid’s teaching interests include criminological theory, media and crime, hate crime, and youth crime. He has taught at undergraduate and postgraduate level at Canterbury Christ Church University, City, University of London, and the University of Kent. Rashid has varied research interests in criminology and sociology. His doctoral thesis explored second generation British Asian Muslim males and marriage. Rashid explored the way in which arranged marriage was negotiated and analysed the response to arranged marriages through the sociology of deviance. He found that a system of transnational consanguineous marriages was being reproduced which he termed ‘the business of marriage’. He is currently writing articles from his PhD and plans to publish a book on the topic. 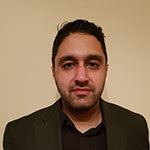 Rashid has also published in the area of bullying and he is currently formulating a project which explores the relationships between PhD students and their supervisors. Rashid is also interested in hate crime and has published in this area. He has presented his research at national and international conferences. Cowie, H and Myers, C and Aziz, R Does diversity in society inevitably lead to a rise in xenophobia among children and young people?. International Journal for Emotional Education, 9. 90-99. Rashid is a member of the British Society of Criminology.